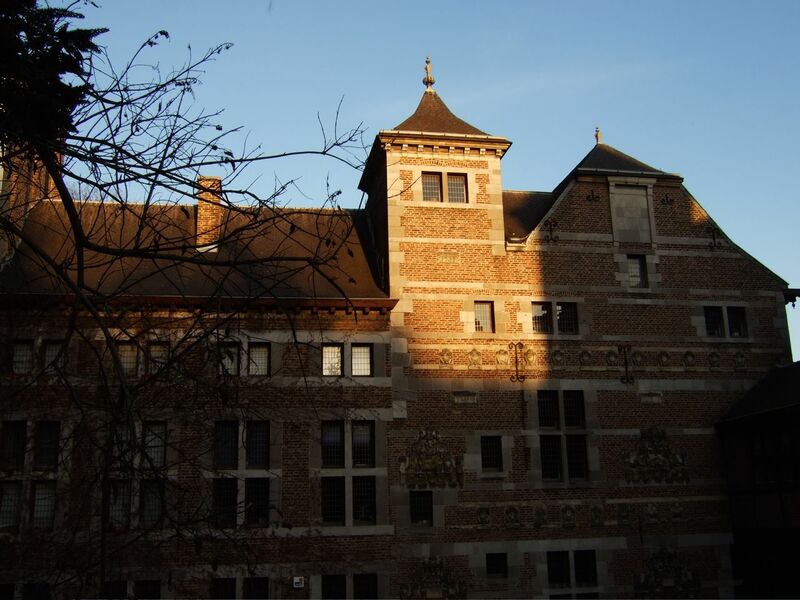 A rear view of the Museum of Walloon Life in the autumn sun. It has such a warm afternoon glow! Lovely brick & rooftops with the warm lighting. Looked thru a lot of your photos - I did not know that Liege was so hilly, wonderful views to be had & my favorite is Downhill, & Rooftops and I liked the La Gare of the 3rd Kind... and the spiders. All for now & greetings to the kitty.